As you can tell from the mix of recipes I post, I’m an omnivore. I enjoy everything from lentils to lamb chops. 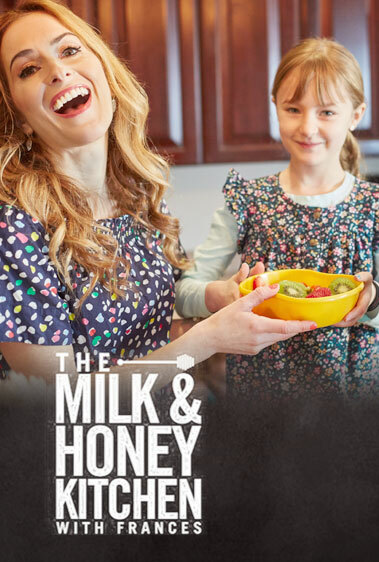 But, like many of you, I am taking steps to incorporate more plant-based foods into my diet to help keep our planet healthy and to boost the amount of fiber and antioxidants I’m getting. Panera Bread has been offering clean, nutritious and convenient food choices to its customers for years, and now they’re making it even easier to find delicious options that are Plant-Based, Protein-Rich and Nutrient-Packed. With the launch of three new curated menus, it’s easier than ever to customize food options to fit your dietary preferences and the way you want to eat–whether you’re vegetarian or gluten conscious, or just trying to incorporate more nutrients into your diet. The new menu paths can be found when you’re ordering online, on the app and at in-store kiosks. 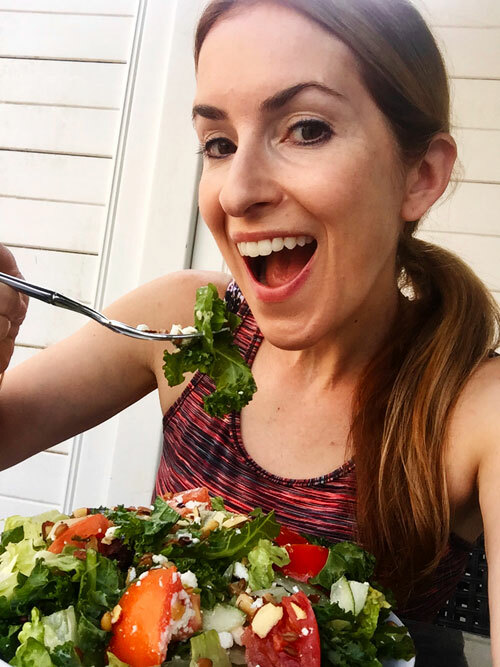 I love this idea and that’s why I’m excited to partner with Panera to create delicious and balanced Plant-Based options from their salad pantry of more than 50 clean ingredients! I put the Ancient Grain Greek Salad together to power up the standard Modern Greek Salad. 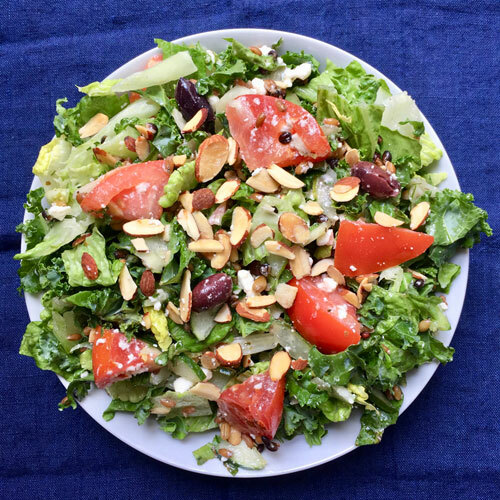 It already had a hearty mix of kale and romaine lettuce, plus tangy feta, crunchy sliced almonds, and a zesty Greek dressing. The addition of the ancient grain blend really boosts the nutrition. The blend contains freekeh, farro and barley, plus daikon radish seeds. Freekeh is young wheat that is harvested and roasted when it’s still young and green. Farro is an heirloom variety of wheat, which is hearty, flavorful and has a substantial amount of protein. Barley is one of my go-to grains. It has a wonderful chewiness and a subtle nutty flavor, plus it contains a type of fiber that helps lower LDL (bad) cholesterol. Daikon radish seeds help aid digestion. Put them all together, and you have a delicious grain blend that will keep you feeling satisfied for hours. Check out the Ancient Grain Greek Salad and let me know what you think! 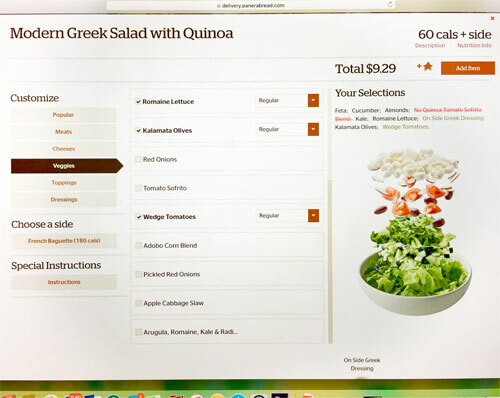 It’s super easy to customize your salad at Panera Bread. Just check the items you want and uncheck the ones you don’t want. You can even get the dressing on the side!